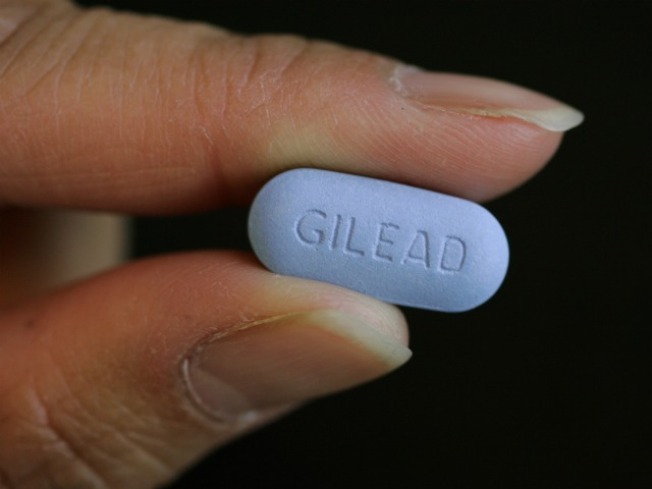 Anti-AIDS Pill: Prevention at What Price? The blue pill can save your life. The once-a-day pill that can cut HIV infection by as much as 70 percent among gay men who take it faithfully, according to a U.S. government study, is a major public health accomplishment that could save untold number of lives. But as further research is being planned among other groups – women, and intravenous drug users, for example -- questions remain about how best to use Truvada, a combination of antiretrovirals sold in a single pill, that could help prevent the spread of AIDS worldwide. NBC chief science correspondent Robert Bazell explains the significance of the trial. Why is the study on Truvado being called a major advance? A report out from the U.N. today shows that even though HIV infection rates are beginning to level off, there are still more than 33 million people in the world with AIDS. This is a horrible plague and anything that can possibly be done to cut down on the transmission of this virus would be a major public health accomplishment. It has the potential to be very useful, but the study does raise a lot of questions on how best to use it. How often should someone be given a pill that can be expensive? There is enormous range in prices. In the United States the retail price is about $1,000 a month. In third world countries, there are generic versions available for about $15 a month. Another question is, this particular pill combination could cause some side effects, particularly if people were to take it for a long time. And there is an allocation-of-resources question about these drugs. Around the world today only about one-third of the people who could benefit from these life-saving drugs are getting them. Even in the U.S. not everyone has easy access to the drugs because of financial restraints. Is the best use of resources of treatment drugs to use them for prevention? There will an awful lot of discussion by international health experts, the Centers for Disease Control and Prevention and the Food and Drug Administration and scientists on how best to recommend using the medications to limit the spread of HIV. Because even though the medications do have a cost in terms of financially and side effects, there’s nothing better than preventing a disease in the first place rather than treating someone once they have it. There are certain target groups of people that might benefit enormously. The study was only done in gay and bisexual men, but the assumption that it might work as well in women and IV drug users. In many poor countries women have no control over the sexuality of their partner or husband. Like vaginal microbicide gels which are made from the same drug, [Truvado] would give women something they can do to protect themselves, even if their partner won’t wear a condom. Another use will be -- which is happening already in the U.S. for people with the means to afford it -- people will go to their doctor and take Truvada when they are going to be sexually active. There’s nothing illegal about doing that because a doctor can prescribe it off-label. While a lot of people will say, you’re basically creating a chemical condom, the fact is, condoms are not perfect and this drug is not perfect. It opens up yet another way of preventing HIV infection. The head of the study said he wouldn’t anticipate there would be any situation where it would be given to people for more than a few years where they would be sexually active or particularly vulnerable. It’s not something they would be giving to everybody for the rest of their lives, because everybody is not equally at risk for AIDS or HIV prevention. Aren’t there other AIDS drug combinations that reduce infection? This one was chosen because it’s simple; it’s one pill as opposed to several. It does have the advantage of being sold in an inexpensive form in poor countries. If you wanted to target women who have no control at all, to give them something they can do themselves, that would be a possibility because the price is not prohibitive. Will they be studying it among other groups? There are studies underway or being planned in groups that include women, either women where there is a high incidence of HIV among heterosexual transmission or intravenous drug users. Scientists are careful to point out that a study among gay and bisexual doesn’t prove that it’ll work in other populations although the assumption is that it will at this point. Does it work immediately when someone takes it? Nobody knows that and there will be studies about it. One of the things, gay men who have the money and doctors are willing to do it in the U.S., when they’re going to a party, gay men will take a pill or two for a few days before and after to cut down on their risk of transmission. That’s been going on already and there will obviously be a lot more than that. Another obvious use is in what’s called “discordant couples” – whether gay or straight-- where one person is already infected. There are a lot of obvious target groups. The issue of how it will be used still has a long way to go. Why would someone take the drug? Couldn't it encourage risky behavior? That is always the issue that comes up. It came up when the birth control pill was first being considered for the market, that it would encourage promiscuity. In this study, the men not only got the drug but were counseled about avoiding risky behavior and they were given condoms and were told to use them. Again, nobody is saying it’s one or the other, it’s if you can double the amount of protection. There are certain groups where in the U.S. there is an enormous risk of transmission. One of the biggest risk groups right now in the U.S. is young African-American men. If you know someone is at high risk anyway, you can encourage them to take it. Telling people to avoid risky behavior doesn’t have a long history of success. Nobody would say take this and let yourself go wild. They’d say take this and still be careful. All these things will have to be determined through pilot studies and other methods that are still being thought about. Nobody knew it was going to be as successful as it is. It’s more successful than the microbial gel study was, more successful than the vaccine study. Nobody is saying that the major prevention methods of limiting your number of partners and using condoms should be at all abandoned. In fact, this could get people to pay more attention to those messages on top of taking the drug. But nobody knows how that will work out yet.